Home ER - Pre-K Belches, Burps and Farts: Oh, My! Belches, Burps and Farts: Oh, My! 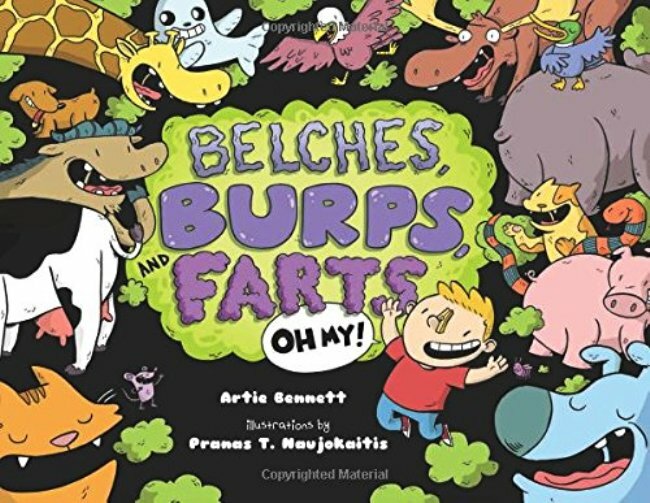 While most people shy away from burps and farts and all their cacophonous glory, a very funny man named Artie Bennett chooses to celebrate the windy chorus in picture book form. His latest picture book, Belches, Burps and Farts: Oh My is all about giving readers an earful (and even a nose-full!) about the pesky little nonstop explosions that make their noisy way from our body parts to the environment around us. His explanation of burps and farts is reminiscent of that song about the birds and the bees; you know the one that goes: “Birds do it, bees do it…” Except in this case, Mr. Bennett teaches us that cows do it, kids do it, and maybe even unassuming squids do it! We learn that beetles do it to attract a mate, termites do it after they eat too much wood, fish do it to communicate, and some snakes do it to drive their prey away. With his usual heaping dose of crisp, clear and hilarious prose, Mr. Bennett teaches us which foods make the smelliest farts and how microbes play a role in fart-making. He even offers an illustrated flowchart of how a fart is made from beginning to stinky end (pun intended). Pranas T. Naujokaitis is the perfect artist for this treasure chest of gaseous noises. His kid-friendly illustrations make use of every rich and vibrant color in the color wheel, and he fills the pages with every funny situation you can imagine. Wide-eyed dogs, cross-eyed birds and screeching cats scamper or flutter in opposite directions to escape the stink-bombs wafting on the breeze. Green smoke envelopes unassuming children with clasps on their noses to deflect the smells. Mouths open wide to emit explosive belches while animals react with google-eyed dismay and other children simply faint away from the smell. This book is truly a treasure chest of gaseous sounds and smells, but it must be mentioned that the subject matter may be offensive to some. Still, it’s all done in good-natured fun, and all the book’s characters emerge unscathed and none-the-worse for wear. 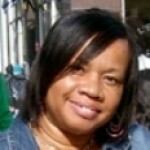 One more thing: Although Belches, Burps and Farts: Oh My is decidedly gaseous in nature, it’s still quite educational. Children learn how farts escape while we’re at rest, why some burps or farts smell worse than others, and why these bodily functions shouldn’t embarrass anyone – mainly because everyone does it! Sure to be a welcome addition to your child’s library.